Date and time: Thursday, May 23, 2019, 7:00 p.m. 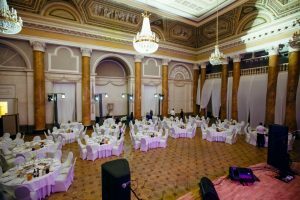 The Banquet will be held At the Palace of Chancellor Bezborodko (A. S. Popov Central Museum of Communications in St. Petersburg). 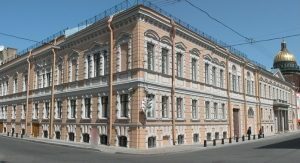 The building, which houses the Museum, is a unique architectural monument of the last quarter of the XVIII century. It was designed by the architect Giacomo Quarenghi for the prominent statesman and politician of Russia, the closest associate of Catherine the Great, His Serene Highness Prince and Chancellor of the Russian Empire, A. A. Bezborodko (1747 — 1799).